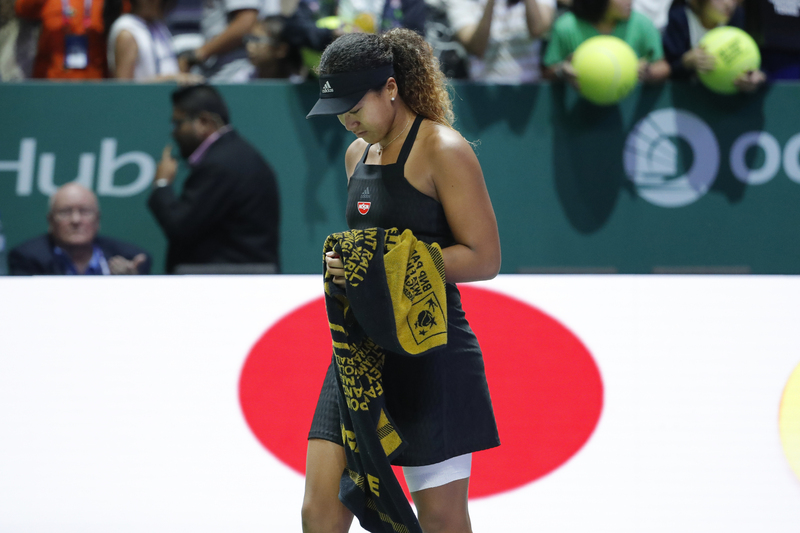 SINGAPORE - Naomi Osaka’s WTA Finals debut ended in tears on Friday as she was forced to retire against Kiki Bertens, handing the Dutchwoman a surprise spot in the semifinals. Bertens won the first set 6-3 in 47 minutes at the Singapore Indoor Stadium before U.S. Open champion Osaka, who wiped away tears, forfeited the match. It was a disappointing end for the 21-year-old, who came into Singapore as the in-form player but lost three-set matches to Sloane Stephens and Angelique Kerber. “I hurt my left hamstring in the first match,” Osaka told reporters. But it was enough for Bertens to seal a final four spot in her debut at the season finale, having defeated top seed Kerber earlier in the round-robin phase. Bertens only qualified for the WTA Finals just days before the tournament after world No. 1 Simona Halep withdrew due to injury. “It’s never easy or never nice to win a match like this, but it is what it is,” Bertens said. Osaka had started the match brightly, rolling through her service games before being broken in the eighth game. 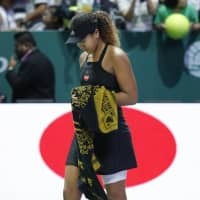 With her upper leg heavily strapped, Osaka called a medical timeout after the eighth game and required treatment in the locker room. She came back on court but dropped her serve to love, culminating in a double fault which turned out to be her last action at the WTA Finals. Kerber plays the unbeaten Stephens in the last round-robin match from the red group, with the winner joining Bertens in the semifinals.